One of the most important factors which determines whether us pet owners have a stress-free break, is the knowledge that our cats or dogs which we’ve had to leave behind are happy and healthy in a well-run cattery or boarding kennel. Leaving a pet behind is never an easy task, but they can’t always travel with you. You may not have the luxury of a family member or neighbour that is willing and able to either house-sit or pop in twice a day. If you did, that might be OK for a single night or long weekend, but anything over that and your pet would probably prefer more company and stimulation and better care in a cattery/kennel. With so many kennels and catteries to choose from, it can be difficult to know which is the best, or more suited for your pet’s individual needs . 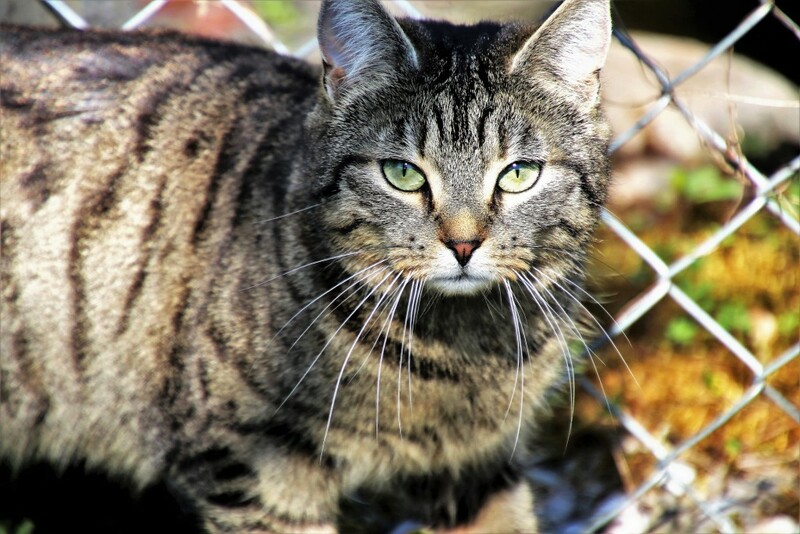 Here are some of our top tips on how to choose a cattery or boarding kennel. Some of the best kennels and catteries are booked up months in advance, which means you should begin your research as soon as your know about your trip. This way you won’t be left disappointed when you find the right place for your pet, but discover they are fully-booked. Your first port of call should be local friends, family or neighbours. They may have used nearby catteries or boarding kennels and can advise you of their experiences, good or bad, to help you narrow down your list. Whilst it’s good to get their views, remember that every pet is different and has different needs, so what worked for one friend, may not work for you. You should simply use these recommendations as a guide. It is important that you only consider kennels and catteries that are licensed to look after cats and dogs. This is the only way that you can be sure that you are leaving your pet in safe and knowledgeable hands. Knowing a cattery or kennel meets these requirements, should give you confidence that your cat or dog, is going to get this level of care, as a minimum. Many are run by animal lovers who give your pet fuss and attention on top of basic care – that’s why you need to investigate further. Most kennels and catteries will have a website explaining their location, history and prices, which you should read in detail, but in order to shortlist the potential kennels or catteries, you should really give them a call. Only by speaking to the people that will be caring for your pet can you gain a sense of their personalities and whether you think they might get on with your pet. This also gives you the opportunity to ask about any specific questions you may have (such as amount of exercise for pets, specific health requirements etc) and they can tell you whether they would be able to meet these needs, which is information that wouldn’t be available on their website. After you have shortlisted your potential kennel or cattery, you should pay each one a visit. This will give you a true idea of how they work, and means you can see where your pet will be sleeping and exercising. Check that the pens are secure but well-ventilated and that any cats and dogs currently boarding there seem content and relaxed. The visit should get a good idea of the conditions and of the owner and enough to help you make your decision. Of course, no one wants to spend more than necessary but price should not be the only deciding factor when it comes to the security and happiness of your pet, you should ensure that a potential kennel or cattery has everything you expect and the care that your pet would require. A good cattery or boarding kennel will ask that your pet has had regular and recent flea treatment (so make sure yours has), and you’ll need to dig out your pet’s vaccination card to demonstrate they’re up-to-date on their jabs. You may wish to pop your pet’s bed into the car for them to use at the cattery or boarding kennel – check with your chosen establishment whether it’s OK for you to bring them. Leaving their favourite toys with them is also a good idea. Some animals (particularly cats) are not good travelling in the car, so to help calm them down and make them feel more at ease, consider a natural calming product prior to the trip, just to take the edge off their stress. Leaving your pet in the hands of someone that you don’t know personally is a big decision, but providing you do the right research and are happy with the kennel or cattery that you choose, there should be no problem. Leave your contact details, as well as another emergency contact, and they will contact you if there are any problems – otherwise, relax and enjoy your trip!